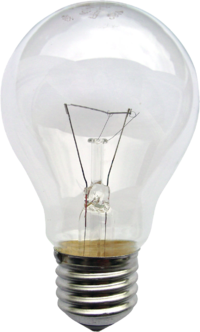 The ban of the incandescent light bulb – Draconian tokenism or well thought out policy? It is now illegal throughout the EU to manufactur 60-watt incandescent light bulbs. This is an effort to encourage (force?) people to use energy efficient bulbs in order to help reduce our CO2 footprints. Is this a good idea or the EU being too draconian again? The first thing to point out is that it won’t actually affect most people. To illustrate, hands up if you noticed that the 100-Watt or 75-Watt incandescent light has ceased to be produced for quite a while now? Exactly, if you don’t notice something is no longer there then it can’t be that important to you. All those who protest this piece of policy, remind me of those boyfriends when they suddenly find out their ‘favourite’ t-shirt had been thrown away by their girlfriend 6 months previously. Yet, there are those such as Labour MP Sheila Gilmore who claim that these ‘new’ (and of course they are not new their design is just not hundreds of years old like Edisons) have detrimental health affects such as causing migraines. It is estimated by some that these new bulbs will have a detrimental affect on 2 million people, so the daily mail tells us. Even if this is true (and I would question what is deemed a detrimental affect) then the potential health consequences that may occur if the ban is implemented is minimal in comparison to the potential health consequences if we do not take measures to tackle climate change (at this point I would encourage anyone who hasn’t to read my blog on the human impact of climate change). Ahh, but (I hear you cry) – by banning lightbulbs you are not going to tackle climate change. I would concede this point – you will not. What you will do though is reduce our total carbon footprint which will reduce the inevitable detrimental consequences of climate change. I have said it a million times before and I will say it again – climate change is not something that will either happen or not happen, it is something that IS happening. We are just trying to reduce the negative consequences by keeping average global temperature increases to a minimum. In other words what we experience will be a lot worse if we heat this planet up by 5 degree from 1990 levels than if we stuck to more modest 1.5 degree mark. By banning incandescent light bulbs we will do this in a manner that has minimal negative consequences. Every piece of social policy has negative consequences – there is no such thing as a perfect piece of social policy. The smoking ban for example (a piece of policy I strongly support) is A) illiberal, B) contributing to the closure of countries pubs (although not to the degree the tobacco lobby would suggest) and C) has forced some smoking bars to close costing communities central meeting places. Yet, in the grand scheme of things we can see it is broadly having a positive affect on society. I would argue – so will the ban on the manufacture (not use) of the incandescent light bulb. Simply, this piece of policy, although not perfect, doesn’t cause significant harm – but has the potential to help us remove the threat of a potentially very serious form of harm. In my mind at least, this means it can be justified. Weirdly, I might find myself in agreement with you. If something has very few negative consequences, and helps reduce energy usage, then why not, eh? Its kind of the basic formula for social policy – potential benefit Vs potential harm. Glad we agree! Stranger things have happened.